I tend to write in spurts when my Muse hits and I had just finished the last article when “The Caller” texted me from Indianapolis. He and wife must be on road trip and he decided to regale me with another set of messages. It can be months between his texts and here I was being bombarded with notices twice in a couple of days. One can only imagine the joy he had of enjoying a fine dinner out. I received three texts in a row, and they were all photographs and I could tell that he was enjoying himself that evening. The first text was a bottle of wine and then the next two were of the restaurant. They were dining at the Capital Grille, which is a chain of fine upscale steakhouses, if you have never been to one. I have written about the Capital Grille as there is one in the greater Detroit area. The food is superb, the service is excellent and they also have a fine wine list. Since I have been to one in the chain, when we are away on holidays I try to avoid going to another one in the chain, as I prefer to experience a restaurant that has more local flavor, instead of a corporate environment. I should experience another one of the Capital Grille restaurants in another city, just to see, if I would enjoy it more in another setting. My only complaint of the restaurant and I realize that it is a small one, and perhaps a bit petty is that the location in the Detroit area is in a mall, granted a very upscale mall, but I find that it is a bit louder perhaps because of the shoppers, then a restaurant of this caliber should be. “The Caller” finally let me know that he and his wife were enjoying porterhouse steaks, grilled Brussels sprouts, and twice-baked potatoes. They were enjoying the dinner and they should be, because if nothing else the Capital Grille is an excellent steakhouse and the sides are ample enough that two can share one order of each side and still be totally sated by the end of the meal. I smiled when I saw the wine that he had ordered and it was almost a repeat of the wine that he had texted me a day or two ago. He had ordered another Pinot Noir wine made by Joe Wagner, the youngest son of Chuck Wagner. 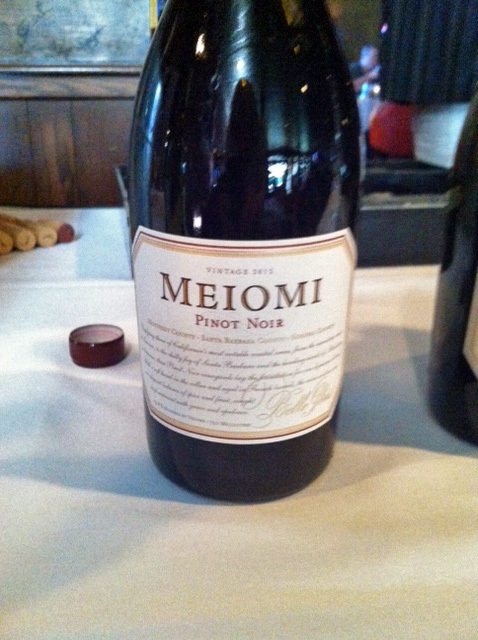 The bottle of wine, was one that I have wrote about in the past as well, it is Belle Glos Meiomi Pinot Noir 2013. This is the more popular priced wine from Joe Wagner and it carries a California AVA as the grapes are sourced from Monterey County, Santa Barbara County and Sonoma County. Still a good choice for his dinner and I am sure that it was enjoyed. 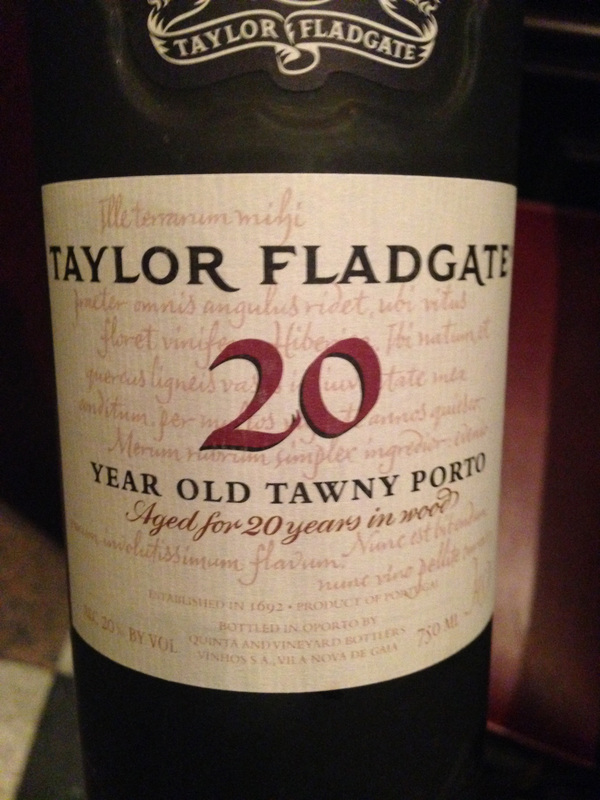 This entry was posted in Dining, Wine and tagged 20 Year Old Tawny, Belle Glos, California, Douro, Meiomi, Monterey County, Pinot Noir, Porto, Portugal, Santa Barbara County, Sonoma County, Tawny, Taylor Fladgate, Tinto Barroca, Touriga Franca, Touriga Nacional. Bookmark the permalink.